On July 1, 1893, President Grover Cleveland boarded a friend’s yacht, sailed into the calm blue waters of Long Island Sound and disappeared. The events of the next five days were so incredible that even when the truth was revealed, many Americans simply would not believe it. 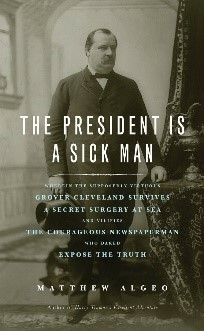 Matthew Algeo, author of The President is a Sick Man, will discuss this extraordinary unknown chapter in American history: Cleveland’s secret cancer surgery and the brazen political cover-up which followed.